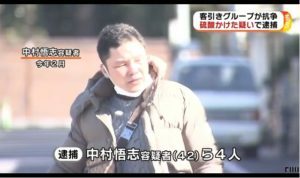 OSAKA (TR) – Osaka Prefectural Police have arrested a 30-year-old man for allegedly attempting to drown his girlfriend at his residence in Osaka City’s Joto Ward earlier this month, reports the Sankei Shimbun (Sept. 10). 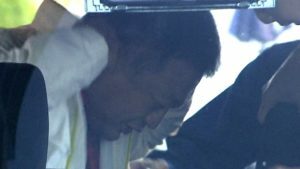 At around 1:30 p.m. on September 7, Miki Kamiya, a part-time employee at a restaurant, allegedly shoved the head of his girlfriend, a 17-year-old high school student, under water filled in the bathtub 10 times in an attempt to kill her. “I have nothing to say,” the suspect was quoted by the Joto Police Station. The arrest is the second for Kamiya. Police previously accused him of assault and inflicting injury after he grabbed hold of his girlfriend’s arms and flung her down, resulting in injuries to her head.